Judith Beveridge (born 1956) migrated with her family from London to Sydney in 1960 where she has lived ever since. Although she has only published three books of poetry (a fourth volume is due in 2009), she is regarded as one of Australia's finest poets. Critic Martin Duwell and poet Bronwyn Lea have said that she "has managed to pull off that complicated coup of being pleasing to both the literary critic and lay reader alike." She is notable for her painstaking revisions and drafting of her work, often doing hundreds of drafts before publishing a poem. Of her work, Clive James has said, "Quite apart from its unfailing dignity of movement and quiet splendour of analytical diction, what I find daunting in her poetry is how it examines in microscopic detail the order of natural events that I usually fail to notice at all." 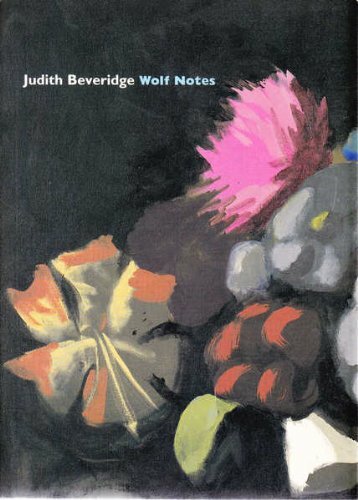 From her first book of poetry, The Domesticity of Giraffes (Black Lightning Press,1987) to her most recent volume, Wolf Notes (Giramondo Publishing, 2003), Beveridge has shown a sophistication with language and image, clarity of vision, and a power of observation that few can equal. Beveridge was quick to receive critical attention and all her books have won major prizes. Poet and critic, Michael Brennan, has said, "Beveridge is one of Australia's most gifted poets of both the natural and the human world, often allowing the interconnection between these two realms to shine forth in moments of both praise and deep consciousness. She is both a spiritual (though not religious) poet and a poet of conscience." Her more recent work, while still strongly image based, explores sounds, cadences and rhythm with more force and emphasis, and her depictions of coastal landscapes are unique and memorable: "When I reach /the headland, I stand and watch gannets fight/ for purchase on the lighthouse that looks/ for a moment like a statue of a headless pope." (The Octopus). Beveridge's work continues to startle and surprise, not only with her imagery and observational powers, but with "moral imagination". Poet, Geoff Page, has noted, "She is able to feel her way into the situation (or plight) of other humans (or animals) and convince us, at once, of their integrity and complexity." Although Beveridge has worked in offices, libraries, schools, adult education and as a bush regenerator, and since 2002, as a teacher of poetry at postgraduate level at Sydney University, she has always made poetry her principal vocation. She has written reviews and articles for major literary journals. From 2001-2004 she was a member of the Literature Board of the Australia Council. Her poetry has been translated into several languages including Arabic, Chinese, German and Spanish. Since 2005 she has been the poetry editor of the prestigious literary journal, Meanjin. Beveridge's reading of her poems has a flawless tempo that shows the rhythmic structure that supports her writing. Her voice has a gentle diplomacy and a concision, that naturally enhance those parallel qualities of intimacy and clarity that define her poetics. The audio poems were recorded on 14 September 2007 for The River Road Press Poetry Series in Sydney, Australia. Producer: Carol Jenkins. Cut by Stars is available from www.riverroadpress.net/. A video of Judith Beveridge reading 'Yachts', taken from the Macquarie PEN Anthology of Australian Literature.